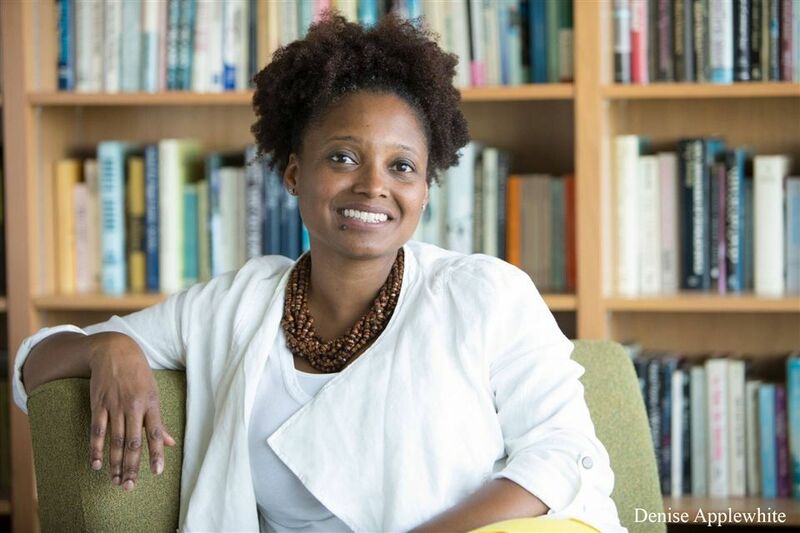 Tracy K. Smith was named US Poet Laureate in June 2017. Tracy K Smith, the current U.S. Poet Laureate and perhaps one of the most distinguished poets of the modern era, will visit Hopkins on Friday, May 4. Smith will speak to the student body during Assembly and afterwards will be answering questions in the lower library. At the end of the day, she will lead a poetry workshop in the Weissman Room. During previous workshops, visiting poets have described the writing process behind their own works and have even looked at and helped revise student pieces. The intended atmosphere of the workshop is rather intimate, making space limited. Smith was born in 1972 in Falmouth, Massachusetts, and then moved to Fairfeld, California, as a young child. Smith has received a prestigious education attending Harvard, Cambridge, Columbia, and Stanford. Smith currently is a professor at Princeton University and says she enjoys teaching. When asked how Hopkins was able to book Smith, Faye Prendergast, Head Librarian and member of the Poetry Committee, jokingly said, “Luck.” In truth, the Poetry Committee worked very hard and started meeting almost a year in advance of Smith’s visit. Prendergast was introduced to Smith by a literary agent who mentioned the poet as “someone who really liked working with teenagers.” Just as Smith became U.S. Poet Laureate in June of 2017 and her schedule was starting to fill up, Prendergast was able to secure Hopkins a spot. The United States Poet Laureate serves as the country’s offcial poet, and as such it is the most prestigious honor a poet could receive. The Poet Laureate seeks to raise the national consciousness and appreciation for the reading and writing of poetry. Hopkins has hosted some big names in the poetry world. Smith will be the fourth poet laureate to visit, but the first one to visit while holding the title. Smith said she plans to use her position to bring poetry to parts of the country where it doesn’t usually reach. “Rather than talking about social issues, I want to give more readers access to more kinds of poems and poets.” She explained that her goal is to help others feel the way she does about poetry. English Teacher Brad Ridky said that he is excited that such an infuential poet is visiting Hopkins and “downright giddy” with anticipation. “I think I love the idea of poet laureate because there are so many people who seem to be famous for things I don’t care anything about. But a poet? For writing poems? That truly deserves fame,” added Ridky. One of Smith’s goals as Poet Laureate is to make poetry an everyday affair. She wants readers to abandon the mindset that poetry has to rhyme or is all about birds and vases. Smith’s poetry is dense with references to contemporary culture and layered with meaning. Prendergast commented, “Her poems are not quick. She has an incredible range and a sense of the complexity of culture.” Smith often writes longer poems: “Her poems are often a narrative...She’s interested in not only the short lyrical outcry but the bigger story,” stated English Teacher Chris Jacox, one of the primary facilitators of Smith’s visit. then learns again to stand.